Are you interested in starting a reselling business? This short manual is your Reselling 101, providing basic understanding and direction so that you are able to succeed (diverse advice on the topic) – consultative help to make the decisions that will determine a game-plan for this business model. Then we will specifically address the niche of becoming a hosting reseller, by way of example but also as a potential service that might make sense to you. What exactly is a reseller? A reseller or VAR (value-added reseller) is a firm that buys software, hardware, and/or services in bulk, then resells them. The idea behind a VAR is that the reseller is adding value through additional features and programs, or by including support. However, to get away from the “value-added” distinction, the fundamental idea behind a reseller is that they are selling a service or product that is provided or owned by another company; that is the ease of it and why these programs are essentially attractive to many people. Resellers can complete orders through phone or a website, but they can also actually have the products in stock. Reseller programs will each have their own expectations and rules, expressed within the terms and conditions of the agreement. It may also be possible to create a bespoke agreement with certain merchants, on a case-by-case basis. Figure out what type of reseller relationship you want. There are various ways to go with reselling, in terms of the nature of the relationship and role that you will play. A reseller could purchase stock from vendors at volume rates and resell with a profit margin; alternately, a reseller might push sales to providers for commissions. Your reseller arrangement will be dependent, in part, on the industry through which you are reselling and the extent to which you want to invest upfront capital. Select an industry. Except for cases in which you are simply directing traffic to a provider, you will usually want to have a good sense of the particulars of the field and market. Learn as much as you can about the suppliers and products that you are considering offering, along with the terms and prices. It helps if you care about and have some background with the product; you also want to know the market has room for you. There is a sound argument for choosing web hosting as a focus. It is particularly compelling because it is in its growth phase, as indicated by the IBISWorld analysis of the industry. In fact, through 2020, Joy Mali notes in StartupNation that the compound annual growth rate (CAGR) of some web hosting categories is expected to be between 23% and 27% – both incredible numbers, really. 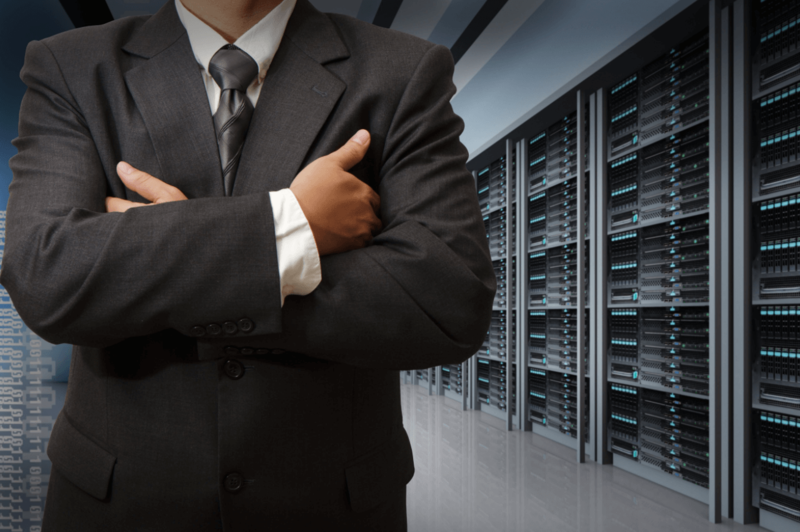 So your timing is ideal if becoming a VPS reseller is of interest to you. Figure out the market that makes sense. Now that you’ve considered the industry and where you will get your product, there is another key piece: determining who your customer is. Where are they located on the globe? Do you need to handle shipping, or is it a drop ship or referral agreement? What are shipping costs? What is your promotional strategy? Answering these questions will guide you. Play the opponent, not just the ball. There is this expression that is sometimes used in tennis and other racket sports to “play the ball, not the opponent”; both legendary and current top-3 players Roger Federer and Rafael Nadal have referenced this maxim, so maybe there is something to it in terms of avoiding potential distraction posed by competitors. However, it is unwise not to have a strategy that is tailored to your current rival. In business as in tennis, you need to understand what to expect from those with whom you are competing. In other words, “play the opponent, not just the ball” – despite what the sports legends say. Lack of competition is a huge advantage to you when you can find it. As you look at competitive companies, think about the price that you will be paying the supplier and what you will be able to charge your customers. Be conservative with your estimates for a healthy profit margin that won’t drive away your potential sales. Plus, think about differentiation now. Decide if you want to add value through the addition of products or services, or if you just want to go head-to-head on price (along with the ability to garner attention – visibility, branding, etc.). Verify that you will be able to make money. It is time to do some math, if you haven’t already. You want to put together a spreadsheet with expected costs, how much you expect to make in sales, and the difference of that will be your profit. Don’t be excessively exuberant about the money that you can generate. Get your business ready for reselling. If you are interested in reselling as your first business, you may want to incorporate your business – a process that is relatively simple. A domain, website, and hosting for your site (independent of whether you want to resell that service or not) would also be needed if you don’t yet have those pieces in place. As IBISWorld notes above, demand for web hosting services expanded significantly during the past half-decade because so many firms have been building up their online visibility. That growth will continue to occur through 2022, according to their forecasts. Furthermore, Mali notes that semi- and fully managed VPS plans are becoming more popular since they are fast and flexible but don’t require the customer to do any maintenance. StatCounter adds that virtual private server hosting, whether managed or unmanaged, “allows for more customization within the operating system that’s used and offers more dedicated resources within a server” [than shared hosting]. 1. Look at your estimate of customers and revenue, and use that to select the correct hosting reseller package. 2. Think about the types of plans that you will want to offer your customers, such as VPS, SSD VPS, and managed WordPress. 4. If everything looks good, sign up for an account with the host. 5. Put together templates and pages for each of the plans. 6. Promote and sell the plans. 7. Deliver support as determined by the agreement. Are you interested in becoming a reseller? At KnownHost, our plans come pre-optimized and pre-secured by default, so there are no worries about having to secure your hosting account for you or your clients. See our VIP Reseller Program.